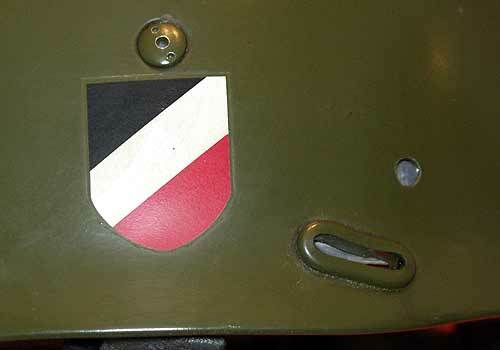 M36 Model with M38 liner Heer Fallschirmjägerhelm: This is a first class reproduction of a Heer (Army), Fallschirmjager Helmet. 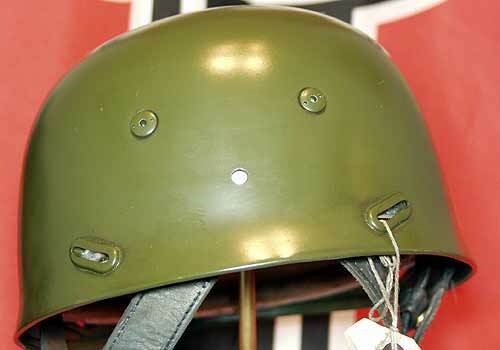 It is based on a very rare M36 model shell, with late pattern helmet bolts. 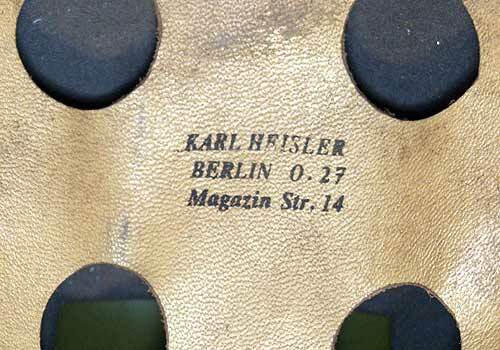 It has been modified using M38 liner which was common practice in mid-late war when earlier produced models were pressed into service. 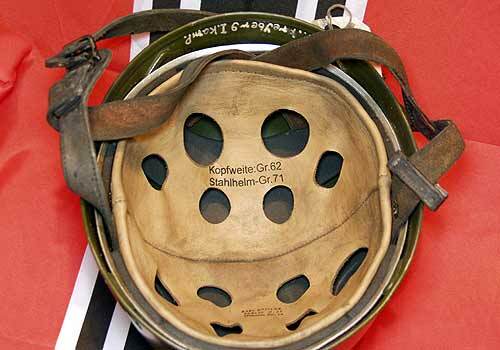 Notice the slots at the front side of the helmet, rear side and the extra holes for retaining the original liner at the sides and rear. A very rare item indeed! 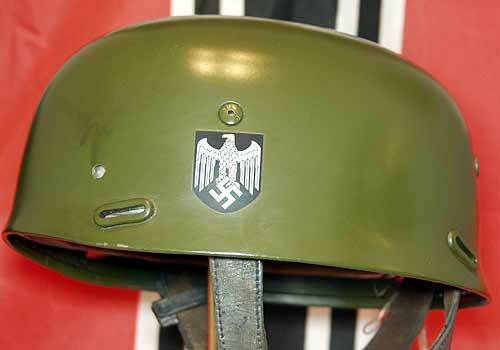 This helmet is based on one used at Fallschimjaeger Training School by the Army Parachute Kompanie and then withdrawn from service but used again late war. 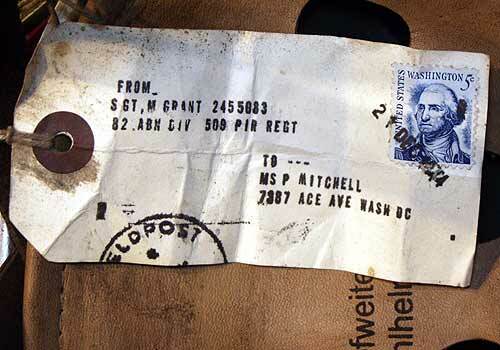 It has its original Army apple green colour and double decals which are 100% intact. This helmet represents very light wear and is almost mint condition! The owner has has name painted inside the helmet rim - 'M. Freyberg.' 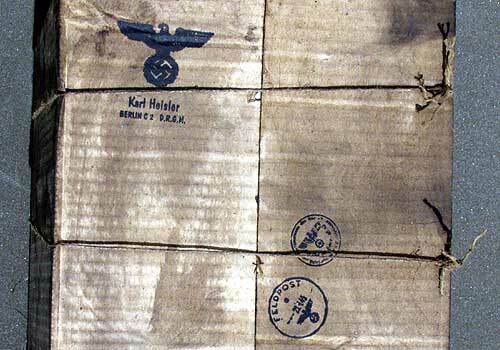 and which appears to be a unit sign 'I Komp.'. 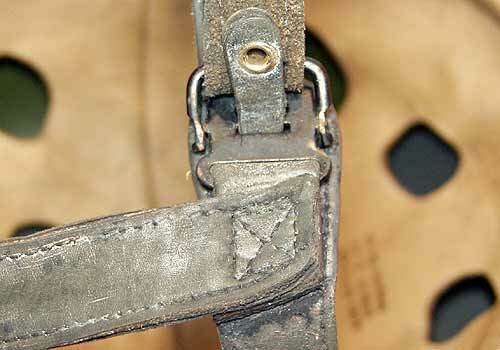 The inner lining is fully intact and again shows light wear and ageing. 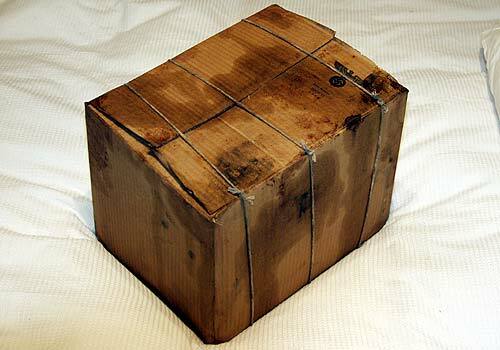 It is double marked with liner/shell sizes and manufacturer. Notice the reinforced grommets on the outer rim - superb engineering! It is difficult to make an original looking 'mint' condition helmet than a camouflage one, so this one really is a good example! 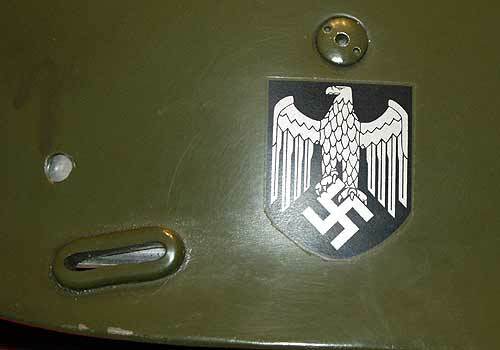 Notice that both decals are protected with varnish, standard German WW2 practice. 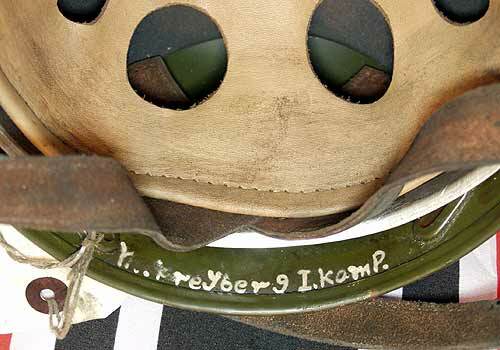 Hence why so many helmets with decals survived intact - it was so difficult to remove them and this helmet is exactly the same! 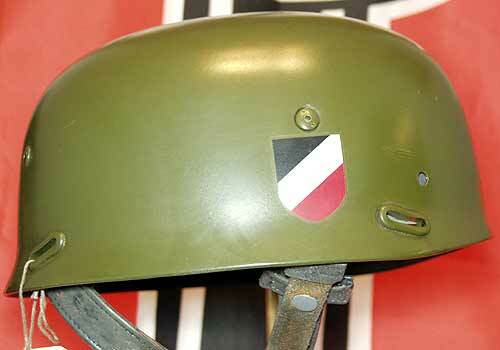 This helmet would make a superb item in you fallschirmjäger collection. 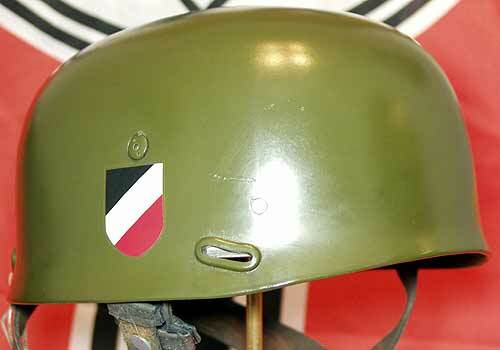 It would make a great filler till you get a genuine M36 helmet which is highly unlikely as it is thought that only two M36's survived the war!